In October 2011, the book ‘SOLAR DECATHLON EUROPE 2010 – Towards Energy Efficient Buildings’ has been published as a documentation of the Solar Decathlon Europe 2010 in Madrid. It contains detailed descriptions of all participating houses, teams and strategies (English only). For more information and the download of the complete book as a PDF (56,4 MB) click here. The chapter on ‘home+’ has been written by Jan Cremers, Sebastian Fiedler and Nansi Palla (p.66-75). 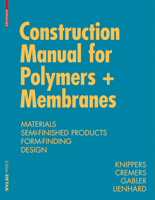 for Polymers + Membranes has been published by Birkhäuser/DETAIL. There are soft- and hardcover editions available. 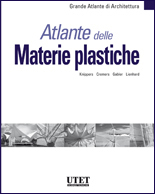 Further information can be found at the website of the publisher. In January 2011, the book ‘SolarArchitektur4‘ about the four German Solar Decathlon Europe 2010’ projects has been published by DETAIL (German only). Also, a new DVD on the German projects of the Solar Decathlon Europe 2010 has been issued by teamWerk/Stuttgart.